Not everyone is a die hard gamer. 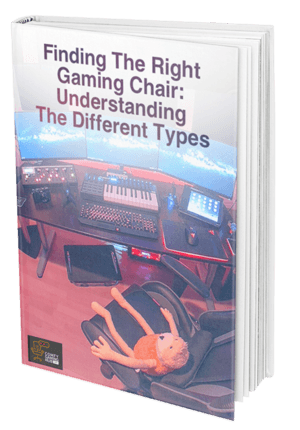 If you have regular 8+ hour sessions then it may be worth it to invest in a more office chair style gaming chair, but if you are a casual gamer then this chair is a pretty good buy. 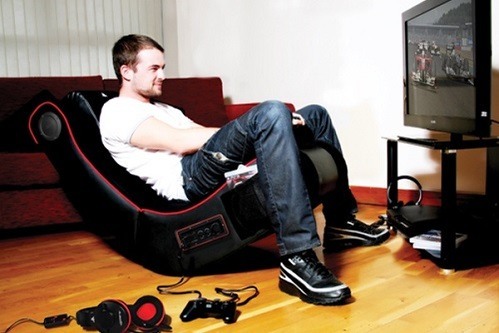 Most gaming chairs today look like a mix between a racing seat and an office chair. 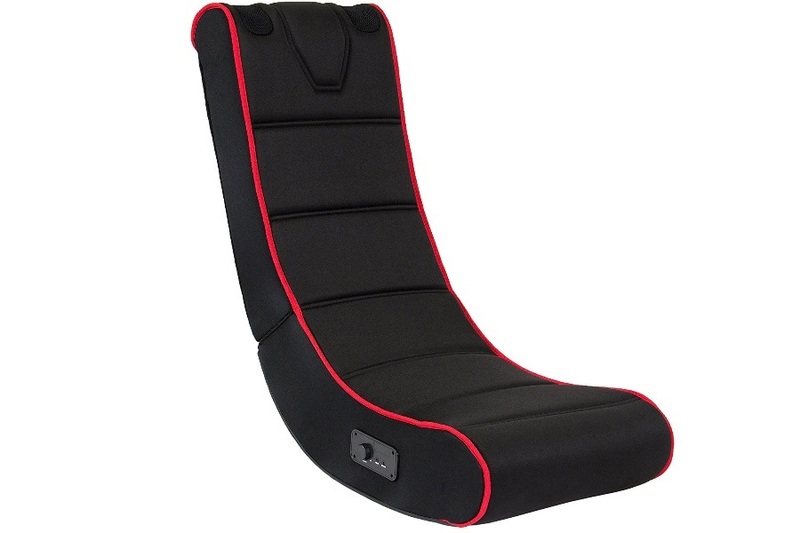 The next tier of gaming chairs are the floor rockers. The floor rockers are most definitely more fun, but have the disadvantage of less support and durability. 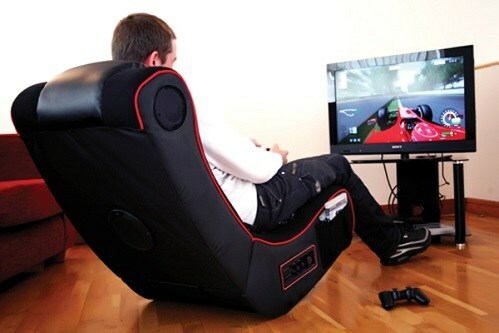 So this chair is not for you if you are a serious dedicated gamer who is ambitious in his or her efforts. The Cohesion XP is a fantastic value for the casual gamer though. Microfiber Material - The chair is very comfortable and the microfiber material makes the chair super breathable which allows you to be comfortable for long periods of time. 2 Integrated Speakers - Perhaps its most attractive feature, the chair has two wired speakers that you can plug into with an aux cable. ​Control Panel - Full Featured and easily accessible, the control panel sits at the base of the chair to control the speakers. ​Lightweight & Portable - It weighs only 18.9 Pounds and can be folded in half to take on the go. The chair is simple and sleek. It get’s the job done if you are searching for a basic gaming chair. The addition of built in speakers gives the chair extra flair. You can find this chair for around 50 dollars. This is quite a competitive price as most gaming chairs will cost you hundreds of dollars. The chair is well received by the public and ultimate game chair gave the cohesion a 7.3 out of 10 rating. 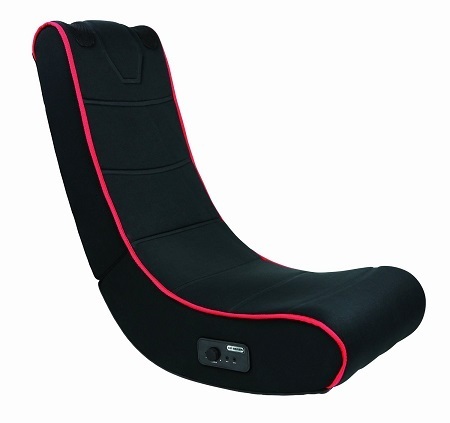 The near 300 reviews on Amazon leave Cohesion XP 2.1 Gaming Chair. The chair is only around 50 dollars so you can’t expect the perfect ergonomic support that some of the higher end gaming chairs include. It’s the best gaming chair in the world, but for the price it’s certainly something to be desired. The best way to review this product is to look at the pro’s and cons. Portability - It’s already a small chair, but the fact that you can fold it in half is great. It folds down to a small size that you can easily put away. When I game, like many others, I like to sit as close to the TV as possible. Unfortunately, it’s quite tacky to leave a chair right in front of the TV. The Cohesion XP 2.1 gives you the ability to pull out a chair in front of the TV for gaming sessions and then fold and put it away when you are done. Loud Speakers - The surround sound feeling gives an extra submersive feeling while playing. Or, if you’re like me and love to jam out to some tunes while you play, the Cohesion is perfect. The music is surrounding you and is very exciting. ​The Rocking - You’re sitting close to the TV and there’s music blasting in your face. The urge to rock back and forth is almost impossible to resist. The Cohesion is a rocking gaming chair, and it is a floor rocker which gives you even more control of the rocking motion. ​Customer Service - The product comes in faster than expected and if you have any problems with the chair, the support team is willing and able to help. ​The Price - You can’t beat the price when it comes to gaming chairs. Design - It looks nice. You can tell it’s for gaming, and there is nothing wrong with the aesthetics. Not Perfect for Larger Individuals - I’m a pretty large person. Getting in and out of the chair isn’t as graceful as I would like.At first, the chair feels very comfortable but after a while, it starts to feel worse. It seems the chair is more suited for average and smaller people. Though I did discover that if you use a pillow for lower back lumbar support, the comfort is retained. Speakers Bass - The speakers are definitely loud enough, but what it is missing is some bass. A little more bass would have made the speakers perfect. Hard Headrest - Folk with a heavier head like myself may find the headrest to be a little hard after extended use. Though, like the lumbar pillow, using a headrest support pillow will solve this problem. Not The Most Sturdy Thing - If you’re reckless you may damage the chair. It has to use softer materials to maintain it's lightweight and portability. Naturally, this comes at the price of durability. You will see this chair all over the internet. Don’t pay more than around 60 dollars for this chair. Your best bet is to buy it off of Amazon. You will get free shipping off orders over fifty dollars and almost all of the reviews spoke to how fast the product came in. I have seen this product listed on places like JET and Ebay for around dollars, so just go ahead and play it safe with Amazon. This is far from being the world's greatest gaming chair, but the Cohesion XP 2.1 Gaming Chair is a fantastic purchase for around 50 dollars. The speakers are very fun, but they’re not studio quality, so don’t only buy the chair for the speakers. The chair is perfect for children, and better suited for smaller individuals. If you are a big guy, I recommend maybe getting something a little larger and sturdy. The portability makes it a great “additional chair” for rooms that could use more seating but don’t need it. The low price makes this a great gift option as well. Go to Amazon, and pick one up today!